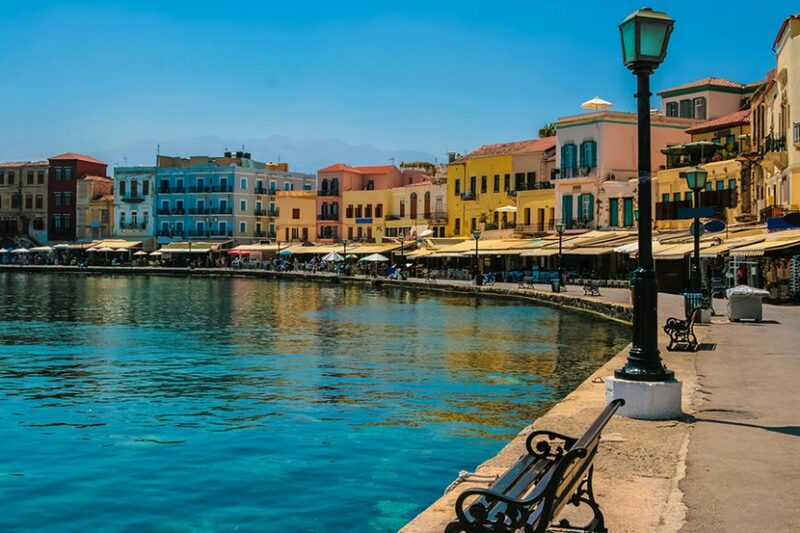 Chania lies along the north coast of western Crete and it is one of the oldest towns in Crete, with a rich and eventful history. The city has retained its traditional architecture and most of the monuments from the Venetian times. The famous Venetian harbor with a beautiful lighthouse and the Old Town around gives the reputation to Chania as the most picturesque town in Crete, which hosts thousands of visitors every year. Walking the streets around the Old Harbour, you can find many picturesque buildings from the Venetian period that gives to the city a special atmosphere. Do not forget to visit the lighthouse and the fortress Bastion where several theatrical performances and concerts take place. At the entrance of Bastion there is also the wonderful Maritime Museum. In the Street Skridlof known as “Stivanadika” you can find local handmade leather products. The Archeological museum on Halidon street displays artifacts from around the county. The well known “Agora” (Old Market of Chania 1913) was built in the shape of a cross with gates that look at four points of the horizon. The fatherly house of Eleftherios Venizelos – one of the most important politicians of Greece – in Halepa of Chania, which constituted his house for more than thirty years, from 1880 to 1910, today constitutes a Museum under the responsibility of “National Institution of Researches and Studies El. Venizelos”, in which it has been granted by the Greek state. The collection of the Museum consists of the complete household effects of the ethnarch, which he personally selected, from works of art, part of his library, his personal objects and from the collection of objects and records of Institution, relative to the period, the action and the personality of Venizelos. Characteristic is also that all the areas of the residence have maintained their authentic form until today, the one that they had during the period that El. Benizelos lived at the house. Entrances to any museums are not included.. Duration might change according your needs! For full program of this excursion please contact us. 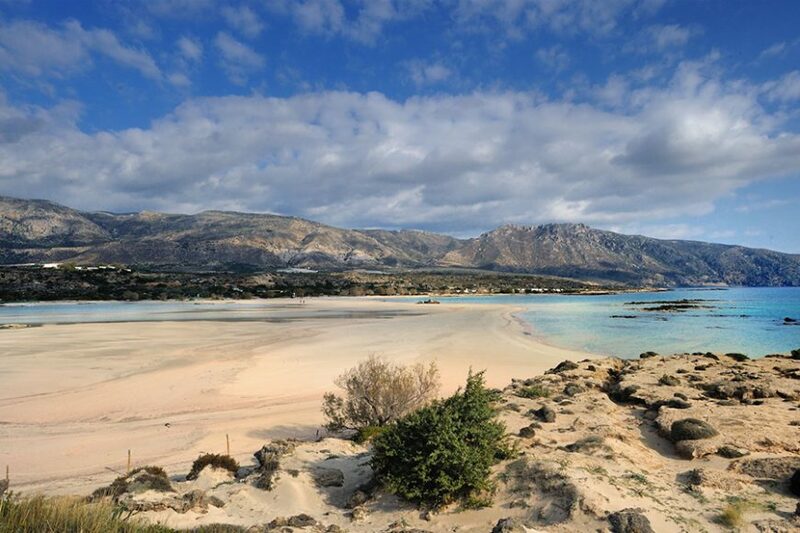 Elafonisi is a small island with white sand, separated from the mainland by a blue lagoon. It is located near the southwest of Crete about 70km from Chania. On the way you will see Chrisoskalitissa, a striking white monastery built up over a big rock. The access to the island is about 100m on foot, as the water is very shallow (only 1 meter depth). The sand is white but in many places it has an unusual pink tint due to the thousands of broken shells that contains. The water is crystal clear and the blue-green color will remind you of an exotic paradise. Crete doesn’t only exhibit beauty but a long and rich history as well as an equally remarkable culture too. The ancient Minoan civilization acts as a great example. The palace of Knossos being the centre of their civilization, Minoans constituted the main force of the island’s population during the Bronze Age. Their civilization as well as the palace was destroyed at the explosion of the Santorini Volcano. The excavation conducted by Arthur Evans 1900-1913 and 1922-1930 brought to light the grand palace of Knossos, along with other great findings of immense importance concerning the culture and the life of the Minoans, which are as of yet kept at the archaeological museum of Heraklion. 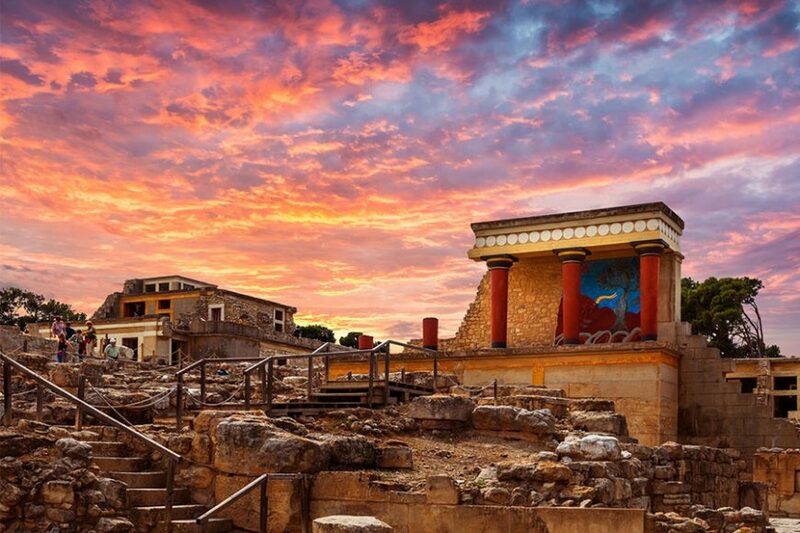 We strongly recommend that you visit the palace of Knossos and the archaeological museum of Heraklion. The Gorge of Samaria is the largest canyon in Europe. More than three hundred thousand people cross it every year. It is a wondrous landscape with rare land formations. Unique habitat with rich flora and fauna and a great mythology that goes back to the prehistory and turbulent history during the difficult years of Crete. 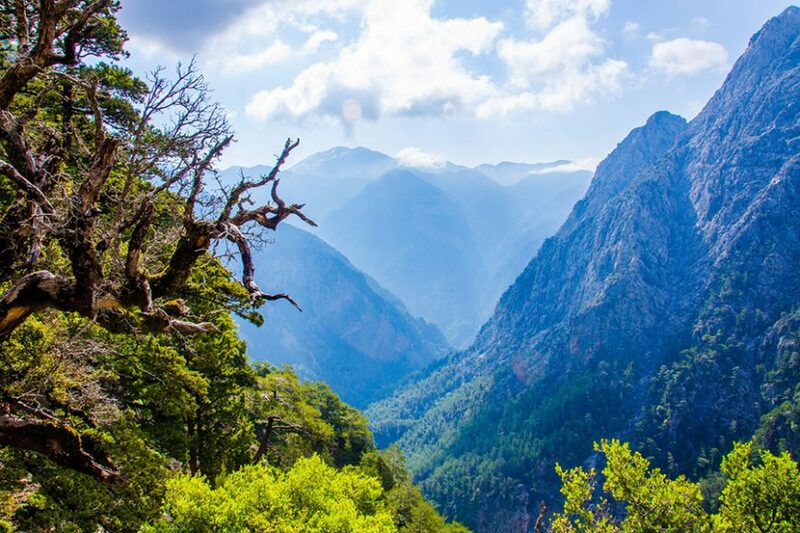 It was proclaimed as a National Park of White Mountains of Crete in 1962. The length of path up to the boundary of the park is 12.8 km and then the distance to St. Roumeli is 3.2 km more. The main species of fauna is the world famous Cretan wild goat (CAPRA AEGAGRUS CRETICA) which has now been saved and live free only in this Gorge.